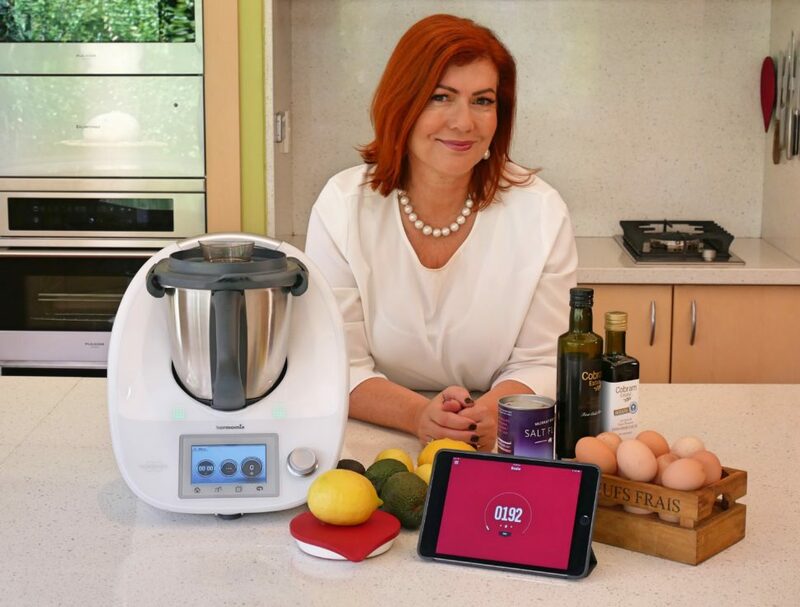 Tenina was the first ever Head of Recipe Development for Thermomix in Australia and you have probably cooked one or more of her many recipes. Today she is a best selling Thermomix cookbook author, and is not afraid of salt, butter or sugar. She also believes chocolate is a health food. Join her on www.tenina.com for great recipes, videos and classes. Taste and see: If you don't like the floury after taste (and who does?) that you can get when cooking Béchamel, a roux or crème pastissiere in your Thermomix, simply cook the entire sauce for a minimum of 8 minutes on 80°C, speed 4, then crank it to 90°C for 2 additional minutes. That floury taste will be abolished, guaranteed. These tried and trusted sauces, the base for so many great dishes through time have always been about cooking the mixture to ensure it becomes something very different from the individual ingredients: thus it’s about making sure the cooking time is sufficient to get the outcome you are seeking. Too often we rely on the Thermomix to do everything, including the most basic component of all cooks’ repertoire: taste. So, if there’s still a floury taste, you haven’t cooked it enough! To make any of these sauces richer, add an egg or two to the sauce, through the lid after a couple of minutes to make it a richer and more delicious addition to your dish. Sautéing: While we’re chatting about taste, the first step to great flavour for savoury dishes, is sautéing your flavour bases at a high temperature. I want you to know that despite what a lot of recipes out and about will specify, I always, (and I mean always) sauté the aromatics at a minimum of Varoma temperature and for a minimum of 5 minutes. You simply cannot hope to release flavours at a lower temperature or with less time. I chop the flavour base ingredients of choice with the oil, butter, fat used in the recipe, scrape down the sides of the bowl, then sauté as I mentioned and usually with the MC off so that the liquids will not stew the mixture. And just putting it out there, I have been known to sauté for as long as 10 minutes. Daring I know…but all in the name of flavour. Getting the temperature right: I get asked a lot about the TM reaching temperature (or not!) during the cooking time. My best advice is that I always write the recipe to include all the time needed to complete the cooking, from cold to cooked! So even if it takes 5 minutes of the cooking time to actually reach temperature, that is accounted for and the recipe will still be accurate. So, relax…follow the recipe…and then if you’re really not happy, add cooking time as required. Use your instinct to get the most from your Thermomix!